Alzheimer’s and dementia are not the same. Although symptoms of the two conditions may overlap, distinguishing them is important for management and treatment. Did you know The National Institutes of Health estimate that more than 5 million people in the United States have Alzheimer’s disease? Alzheimer’s is a progressive disease of the brain that slowly causes impairment in patient’s memory and cognitive function. The time from diagnosis to death can be as little as three years in people over 80 years old. Its symptoms generally begin after age 60. If your father or mother have any symptoms, which are mentioned below, it’s a better option to hire home healthcare services in Nassau County. Remember, it’s a disease that affects not only its patients but the family and loved ones who help care for them. Did you know The World Health Organization says that 47.5 million people around the world are living with dementia? Dementia is a group of symptoms that affects mental cognitive tasks such as memory and reasoning. People with mixed dementia have multiple conditions that may contribute to dementia. 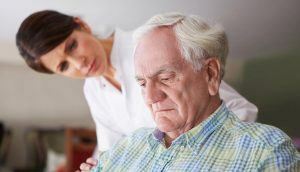 It can occur due to a variety of conditions, the most common of which is Alzheimer’s disease. The dementia patient places an emotional and financial burden on families and caregivers. This is reason, why people seek the help of home health care in Massapequa for caring them. Visit the doctor if you have the symptoms of dementia or Alzheimer’s disease. Once you confirm it, it’s a better option to hire a caretaker to take care of your daily needs.